Kinetic Arts Center offers a challenging and engaging camp experience for students of all levels! Click on the title of each offering below to “jump to” more info. Enroll online, via phone or in person. If you are new to Kinetic Arts Center, visit our New Client Registration page to create a profile in our online system and sign our waiver! Please call us with any questions or for enrollment assistance at 510.444.4800! Tips and Prep for your camper to have the best experience at camp! Circo Day Camp dates for the 2018-19 school year are now open for enrollment. Circo Day Camps are offered on holiday and school breaks during the regular school year. 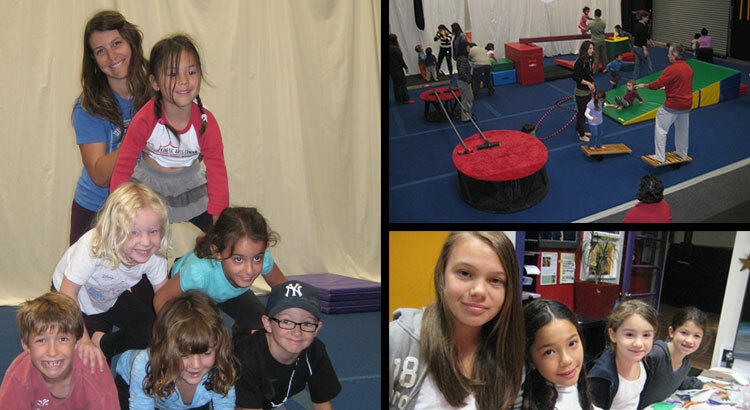 Our one day camp options are filled with clowning, trapeze, juggling, acrobatics, climbing and general circus happiness. Your child will leave exhausted…and with many fun memories! Camp days run from 9am-4pm. Drop off as early as 8:45am at no additional charge. Sorry we do not have after care available for Day Camps. Appropriate for students in grades 1st-6th. Day Camps are $85 per day with discounts available for 3 and 5-pack options. 3-packs = $225, 5-packs = $375. These can be booked for any day camp date offered in the 2018-2019 school year but do are not applicable for Summer Camps. CIRCO DAY CAMP DATES – Click on the date to go to our registration page. Contact us to schedule a single day camp (or multiple days of day camp) during your next school holiday! Call 510.444.4800 or email us at info@kineticartscenter.com for more information! Mark your calendar! The Friday of each camp session closes with a performance at 3pm where students showcase their new circus skills. DON’T FORGET YOUR CAMERA! Camp Dates for Summer 2019 are NOW open for enrollment! Click on the session date(s) below to book your camper. Click on the session dates below to book your camper. Standard tuition for each week of camp is $495*. Register by 3/31/19 and save $50 with our early bird discount! Session 5 is a 4 day camp – No camp on 7/4 due to holiday. Tuition for session 5 is $385. Register by 3/31 and save $30 with our early bird discount. Session 4. 6/24-6/28/19, Sky High Aerials Summer Camp (8-Teen) – SOLD OUT! Extend Your Summer Camp Day! Click HERE to book your camper in aftercare. After care is available from 4-6pm ($27 per day/camper or $110 per week/camper). Campers enjoy structured supervision and arts instruction during our extended day programming. Extended Care reservations are required prior to camp start date. Drop off as early as 8:45am at no additional charge! Save 10% on camp registration when you sign up for multiple weeks! Discount applies to second and subsequent camp sessions any other discount. Pay for your camp sessions in installments at no additional charge! Ask about our payment plan option when you register. Cancellations made prior to May 6, 2019 are eligible for a full refund less a $50 administrative fee. Cancellations made after May 7, 2019 and prior to 20 days to the first day of your camp session are eligible for a 50% refund of the total fees for the session. NO REFUNDS on cancellations made within 20 days of your camp session start date. We cannot offer make up days or refunds for unused camp days. 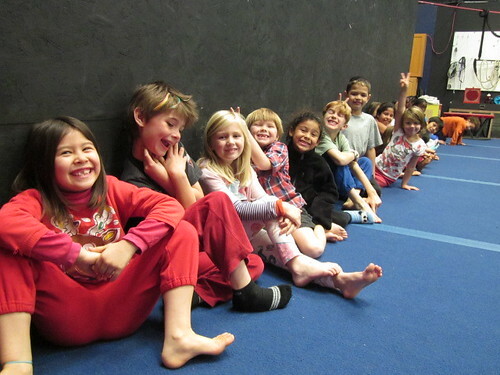 Circo Camp at Kinetic Arts Center is a giggling fun time for all! Here are a few pointers to ensure your camper has the best circus experience possible. Leggings and tights are great but not required. If your student prefers tights make sure they are footless for better grip on our equipment. Contact us with any questions at 510-444-4800!